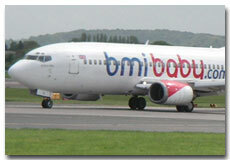 Bmibaby was low fare British low cost airlines with many bases in East Midlands, Manchester, Cardiff, and Birmingham. Bmibaby was a regional associate of BMI. Bmibaby Airline used to operate air flight services to many domestic and international destinations. It is a member of Bmi Diamond Club and Star Alliance. Established in 2002, Bmibaby started providing air services between East Midlands and Malaga. Excellent services for business travelers were started in 2007 by providing on-line check in , ticket flexibility, executive lounge access and, and only pay for the services they used. The airline ceased to operate from 9 September 2012.